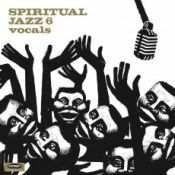 CD disc from "Unity, A Retrospective"
"The Spiritual Jazz 6: Vocals, truly is an outstanding album that is put together exquisitely. 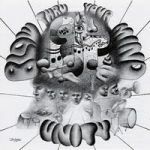 One of the best jazz compilations I have had the pleasure of listening to." 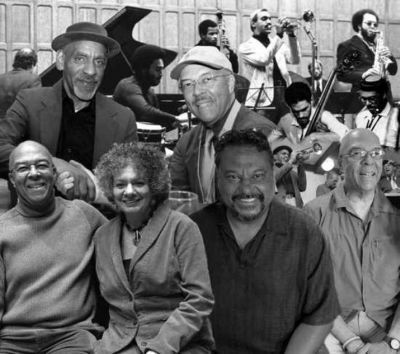 "Live at The East Coast Jazz Festival"
"We started with a great concept/idea, with new & different music, all which had a certain kind of a flair, we had excellent musicians who had exceptional musical chemistry with each other." "Unity, A Retrospective", and their enduring legacy. Seymour Nurse: It is great to connect with you again for another interview. I wanted to continue our dialogue because you have just released a new album entitled "Unity, A Retrospective", which is a moving tribute to the legacy of the band. Can you tell me what inspired you to release the album at this time? S.N: This album certainly is a sincere tribute to the members and musical legacy of Unity. Can you tell me how you first connected with Vincent McEwan, and how your friendship developed? "Chick" McEwan was a fine guitar player who performed around New York for many years. Vince had also been a member of; Pucho & His Latin Soul Brothers. I met Vince at his first rehearsal with the soul band (Majesty of Soul), he wanted to warm-up on his trumpet a little before we started the rehearsal, so he asked the rhythm section to play a medium Blues in the key of F. When he started to improvise I knew right away that he was the "real deal on trumpet." He was very impressive and lyrical on his choice of notes, and his phrasing was "very hip," like the seasoned professional which he was... We became good friends, and used to ride to our performances (Gigs), in either my car or his car. Our discussions during these car trips would touch on music, music history, favorite musicians, current events, etc., etc. I introduced Vince to Gerald Wise (the composer of "Kitty Bey") and the three of us talked about forming a band to play Jazz. S.N: Your music is deeply spiritual, and you were tapping into the 'Source' from a young age which you expressed very passionately through your compositions and playing. What inspired you spiritually and philosophically during those times? B.M: I would like to believe from all my experiences in life maturing from a child into becoming an adult. I gained maturity through coming in contact with very spiritual & philosophical persons in my family, school teachers, religious leaders, fellow musicians, friends, and being part of the milieu of the times in which I lived and connected with others. The period; late 1940's through 1970's in the USA was the time, which I grew from a young child into a man. S.N: I also feel that this was the period when Jazz Music was at its peak, due to what African descendants were experiencing, which they expressed so emotionally through their music. You once told me that you met the legendary John Coltrane. I invite you to share this experience with our readers. B.M: It was in 1964 in Washington, DC at the Legendary Jazz Club; The Bohemian Caverns, is where I met and spoke with John Coltrane. The Band: John Coltrane; Leader, tenor & soprano saxophones, McCoy Tyner; piano, Jimmy Garrison; bass, Elvin Jones; drums. The classic John Coltrane Quartet. As I entered the club that night, in 1964 to see the John Coltrane Band, Jimmy Garrison walked up to me and asked if I had a cigarette? I reached into my shirt pocket, and pulled out a pack of Newport's and offered him a couple. Jimmy asked me if I were a musician? I told him yes, "what instrument do you play?" saxophone I said. "Have you ever met John Coltrane" he said, no I said, Jimmy started to walk toward a table in the rear portion of the club where John Coltrane sat smoking a cigar, this surprised me to see him smoking a cigar, because most younger men Coltrane's age smoked cigarettes during that time. Jimmy said to Coltrane; "Chief, here is a young musician, and he plays saxophone, his name is Byron Morris, he wants to meet you." John Coltrane looked at me and said; "which saxophone do you play?" I told him that I played the alto saxophone. "Oh, I used to play the alto saxophone too," he said. He asked me if I enjoyed the way Johnny Hodges played the alto sax? I told him yes, but, that I also liked Charlie Parker, Cannonball Adderley, Eric Dolphy and Ornette Coleman. He asked me which make of saxophone I had? I replied that I had a Conn with the tuner on the neck. 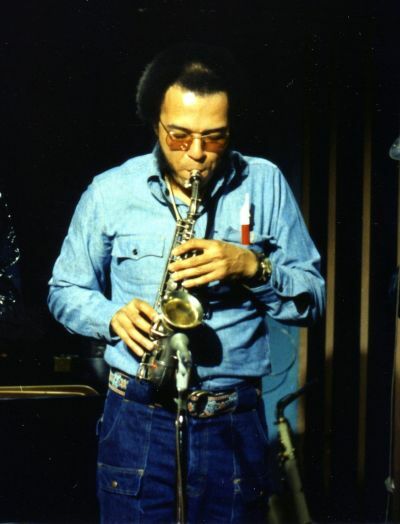 He said that when he played the alto saxophone, that he also had a Conn alto... I told him that I also played a curved soprano sax, which was made by Gretsch, which I had with me. He asked to see the horn, which I then retrieved from my car, and handed-over to him. John Coltrane took the horn and looked it over very carefully, inspecting the instrument by opening and closing each key to see the response, looking at the pads, the springs, every small detail on the horn. John Coltrane told me that this horn was made by Conn for the Gretsch company, and that the horn was made out of very good metal, so that the sound quality must be excellent he said. I asked him to play the horn if he would like to. He looked at the cork on the neck of the horn and said; "the cork is too short & thin for my soprano mouthpiece, and your mouthpiece is a stock mouthpiece, which would not give me a true indication of what this horn would really sound like." He continued, "you need to have some work done on this horn, in terms of new pads, a new cork on the neck, and two or three springs need to be replaced, and overall adjustments need to be made, so maybe the next time I'm in town you could bring the horn by, and I will play on it some..."
The next time never happened. During the following years; John Coltrane changed Band members, to include; Alice Coltrane; piano, Pharaoh Sanders; tenor sax, Rahseed Ali; drums, with Jimmy Garrison; bass, being the lone remaining member from the Classic John Coltrane Quartet. When I saw Coltrane with the new band, he was busy working through all the new musical material, and I did not approach him again about playing on my recently over-hauled soprano saxophone. S.N: Thank you for sharing that wonderful story. I would like you to talk about the tracks from your latest recording "Unity, A Retrospective". The album starts off with a new rendition of the Kenny Barron composition "Sunshower." Your original recording of this holds some very dear memories for me from when it was played in "The Jazz Room" at the Electric Ballroom in the early 1980s, but I have to state that this new version expresses the same passion and spirit, with great solos from Vincent McEwan, yourself, and Cedric Lawson, and superb musicianship in general. 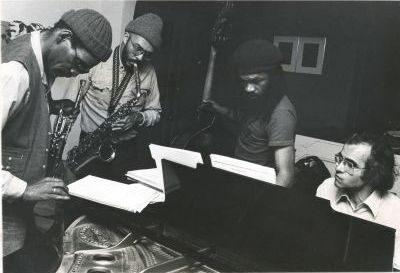 B.M: "Sunshower", has been part of Unity's repertoire since the mid to late 1970's. This Kenny Barron composition has served as a signature song for Unity. 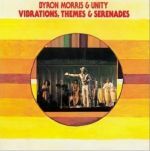 The first version which we recorded in 1978 for the album; "Vibrations, Themes & Serenades," contains the vocal version, with Janice Jarrett's words, and Jay Clayton's vocal. This version draws musical energy from; Gene Adler; piano, Frank Clayton; bass, Tyrone Walker; drums, Abu Sharif; percussion & congas, and yours truly on alto & soprano saxophones. 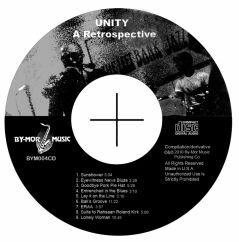 The second version of "Sunshower" was recorded in the 1980's, this is the version contained on; "Unity, A Retrospective". The musicians are; Vince McEwan; trumpet & flugelhorn, Cedric Lawson; piano, David Fuller; drums, Stanley Benders; congas, Don Pate; bass violin, Kevin Parham; electric bass, and yours truly on alto saxophone & flute. I like both versions since they are quite different, one from the other, because of the approach of the different musicians used on each version of the song. I am the only musician who appears on both Unity versions. "Eyewitness News Bluze", written by me in 1973, the inspiration for this song came from watching the daily 6:00 pm newscast from New York, City, which delineated all the News events from the Big City; New York City; "About People in a Bind, with Stories of our Time! I'm talkin 'bout the Eyewitness N-e-e-w-s B-l-u-z-e!!! Vince McEwan; trumpet & flugelhorn, Cedric Lawson; piano, Don Pate; bass violin, David Fuller; drums, Stanley Benders; percussion, and yours truly on alto & tenor saxophones. "Goodbye Pork Pie Hat", written by Charles Mingus, with words by Rahsaan Roland Kirk, and adopted by Unity in 1978. This is my arrangement, with the alto sax and wordless vocal melody line, and the syncopated figure on the turn-around on the melody and on the solos. Jay Clayton; vocal, Gene Adler; piano, Frank Clayton; bass, Tyrone Walker; drums, Abu Sharif; percussion, and me on alto sax. "Entrenched in the Blues", written by Vincent McEwan, as a tribute to; James W. "Jim Billy" Morris, my father, who was a very fine saxophonist and music arranger. 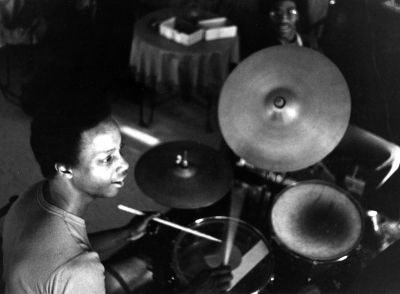 The first time Vince McEwan met my father, which was in 1980 in Washington, DC, we (Unity) were performing in an outdoor Jazz Concert that featured; Ahmad Jamal and his band, with Unity as the opening band. After we played the concert and all of the musicians were in the dressing room, my Dad came in and said to us; "Swingin' Music!! I see you musicians know how to play the Blues. Because you know you have to be entrenched in the Blues in order to play real soulful Jazz Music, I'm proud of all of you, this was wonderful." Vince was impressed with my Dad's words, and his spiritual manner that he had. Vince wrote this song sometime later in that year, because the next time we went into the studio, he had this composition for the band to play... Vince McEwan; trumpet, Cedric Lawson; piano, Don Pate; bass violin, David Fuller; drums, Stanley Benders; congas, and yours truly on alto saxophone. "Lay it on the Line", written by me in the early 1980's, to bridge the musical gap between Jazz and Funk/Rock music for Unity. We have had fun with this song over the years. In this studio version, we let Cedric Lawson on piano have all the creative solo space. Cedric Lawson; piano, Kevin Parham; electric bass, David Fuller; drums, Stanley Benders; congas, Vince McEwan; trumpet, and yours truly on tenor saxophone. "Balls Groove", written by Cedric Lawson for Julian "Cannonball" Adderley, and recorded in a Live performance by Unity in 1975. This is the most spontaneous song on this CD, since we hadn't performed this song before this performance. We had a cursory play through of the song to understand the song's form, beginning & ending, and the chord structure, etc., but that was it. What you hear on this recording is our first time performance of; "Balls Groove" Of course, all the musicians of Unity were well acquainted with saxophonist/band leader Julian "Cannonball" Adderley, and his soulful-funk style of playing which was very popular during this time period, so we leaned back and played the tribute to Cannonball, which was very well received by the dancing & shouting audience... Cedric Lawson; piano, Lenny Martin; electric bass, Tyrone Walker; drums, Tony Waters; percussion, Vince McEwan; trumpet, and Byron Morris; alto saxophone. "ERAA", written by me in the early 1970's after Unity was formed in 1972. The name is derived from the first names of each of my two sons; Eric & Aaron. This is an up-tempo song based over these chord changes; Db minor7 for four bars, D minor7 for four bars, Eb minor7, E minor7, F minor7 for two bars; total of 12 bars on each chorus. Yours truly on alto saxophone, Vince McEwan; trumpet, Jay Clayton; vocal ad lib, Gene Adler; piano, Frank Clayton; bass violin, Tyrone Walker; drums. "Suite to Rahsaan Roland Kirk", written by me over several years, starting in the late 1970's and culminating in the early 1980's. 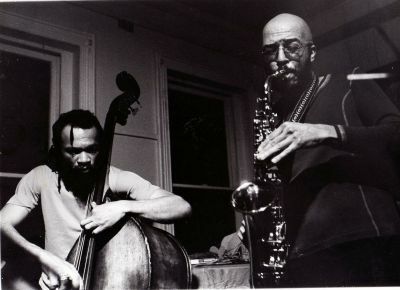 Movement #3; "Theme for Rahsaan" was written first, and appeared as a single short piece on the album; "Vibrations, Themes & Serenades" (1979). 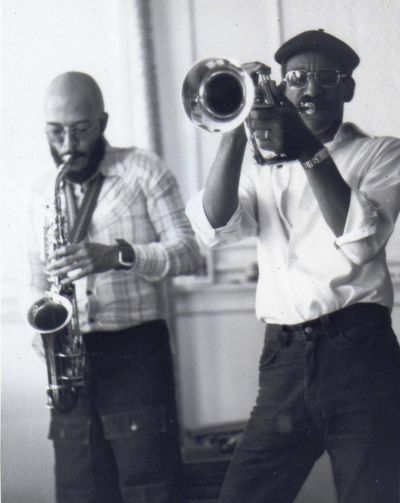 Movements #1 & #2 were improvised as music atmospherics in memory of Rahsaan Roland Kirk. Yours truly on flute, Vince McEwan; kalimba & claves, Stanley Benders; bongos & percussion, Frank Clayton; bass violin, Abu Sharif; bongos & percussion, and Tyrone Walker; drums. S.N: Your music has a very strong connection to the Blues which you express in a very profound way. What does the Blues mean to you personally? B.M: The Blues is the basis of our cultural music known as Jazz. The Blues are deeply rooted in the African-American cultural experience here in the USA, which has had a profound affect or influence on popular music World-Wide. My father used to point this fact out to me many times when I was learning how to play Jazz music. Hence, the "Entrenced in the Blues" statement from my father, and the song of the same name written by Vincent McEwan in tribute to my father. My father use to say; "that all music can be expressed with a Blues & Spiritual feeling, no matter the musical form of that music." He would also point-out to me some of the iconic & legendary Jazz musicians who were superior Blues players, e.g., Charlie Parker, John Coltrane, Miles Davis, Wynton Kelly, Lee Morgan, Julian "Cannonball" Adderley, etc., etc. S.N: The band members of Unity has changed over the years, and you have worked with some very talented musicians. How would you say the music of Unity has evolved over the decades? B.M: Concerning the music of Unity over the decades; Vincent McEwan was the heart & soul of the music, his musical compositions were sorely missed when he decided to leave the band in the early 1980s. He would send new compositions, but, without him there to rehearse and give his guidance to the band, etc., a lot was lost I believe. I always encouraged new members joining the band to write music for Unity. Some did and some did not, but none had the spiritual flair that Vincent McEwan's music had. S.N: Do you feel that the lack of "spiritual flair" after the early period of Unity was due to peoples awareness or state of consciousness in the 1960s/1970s? Most of these songs reflect the time period in which they were composed; 1960's/70's. Unity the band was started in 1972. I believe it is accurate to say that the height of the spiritual consciousness era was at it's peak during this same time period, when Unity recorded two of it's most profound and spiritual albums; the LPs; "Blow Thru Your Mind" and "Vibrations, Themes & Serenades". 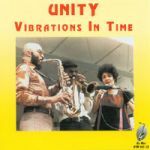 I believe the band Unity was at it's most creative & spiritual self from; 1972 through 1983, when all of the music on the aforementioned LPs and the two CDs; "Vibrations in Time" and "Unity, A Retrospective" were recorded. S.N: One of my favourite pieces of yours is the "Suite To Rahsaan Roland Kirk", where you are featured on the flute. I would liked to have heard more from you playing this instrument as your style is quite unique. B.M: "Suite To Rahsaan Roland Kirk", this composition came about very spontaneously. 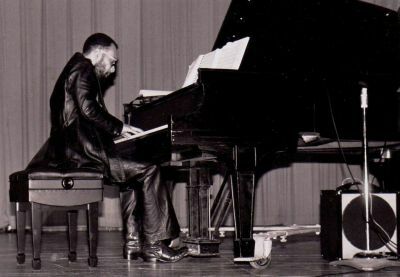 I wrote the song; "Theme for Rahsaan" soon after I was informed of Rahsaan's passing from this life in 1977. "Theme for Rahsaan" is the third movement in the Suite. The other two movements came about at a later time frame, a couple of years later, as atmospheric flute statements. I had the idea to have my metal flute sound like a wooden flute, with a more aboriginal sound, which is why the instruments that accompany me are the; kalimba, claves, bongos, bass violin, drums & various percussion instruments, which added to the overall effect of serenity & peacefulness. S.N: One really does sense how heartfelt that tribute is, and it is very refreshing to hear that musicians such as yourself are still creating music with that kind of intention. I look forward to hearing you play the "Suite to Rahsaan" Live. Were there other musicians that played with Unity during your live gigs over the years that were not featured on any of the band's recordings? 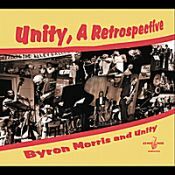 B.M: There have been musicians which have performed with Unity over the years, but, who have not appeared on any of our commercially released recordings. They are: Gerald Wise; trumpet, Jimmy Owens; trumpet & flugelhorn, Tom Williams; trumpet & flugelhorn, Paul Bollenbach; guitar, Wade Beach; piano & keyboards, Steve Williams; drums, Barnett "Dr. B" Williams; conguero/percussions, Tony Duncanson; timbales/percussion, Nasar Abadey; drums, Cheyney Thomas; bass violin, Wycliffe Gordon; trombone, James A. "Jimmy" Lewis; drums, Ronnie Law; conguero/percussion, James King; bass violin, Michael Thomas; trumpet & flugelhorn. We could have quite a musical reunion, if those on this list who are still alive, were called together to play again with Unity..
S.N: Are there any musicians that you would have liked to have played with but did not get the opportunity to do so? I have a few questions for you to answer for this interview; When did you and the dance group "I Dance Jazz" (IDJ) first become exposed to the music of the group; "Unity"? What were your impressions of the group, its music, and personal? I believe that I first became exposed to your music in 1980 at the age of 12, and the song which I can remember listening to was your, "Panamanian Aire". I absolutely loved that track and the general vibration of Unity, which I found to be quite unique, and deeply spiritual. I developed a passion for Jazz in film scores and TV programmes from the age of 5, and the "Panamanian Aire" had this film score feel to it which I was really into. I found Jay Clayton's voice so sensual, and the rhythm and solos were very captivating to me. This tune had more depth to it than a lot of the Jazz I was listening to at the time. The other members of IDJ as well as many other dancers were listening to your music around this same time period. 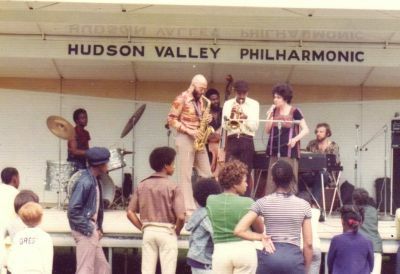 I was part of the 'first' generation of Jazz "Fusion" dancers when it was first developing, as my twin brother and I (Gary Nurse, a member of the IDJ Dance Group) was dancing "Jazz Funk/Fusion" from the age of 12 (in 1979-1980), and went to places that played Jazz at the age of 13 in 1981. I was dancing to soul and funk from a very young age, and won various 'disco' (soul/funk) dance competitions at 10 years old, so jazz was the next step for me (pun intended) in my dance evolution. We were very young in comparison to the older dancers, nevertheless we took ourselves quite seriously, developing our own style and moves when this unique interpretation of jazz dancing (later known as "Fusion" from London, UK) first came into being. For me, out of all your music that was played in the Jazz Rooms, it was the "Sunshower" that moved me the most. I was already familiar with the music of Kenny Barron who is an exceptional pianist that I feel deserves more recognition in my opinion. The lyrics in your rendition of his "Sunshower" is a beautiful tribute to Mother Nature/Earth and Father Sun, expressing our intimate connection with them. Gene Adler are very special, but I have to say that your solo in this track was the most joy to dance to and interpret as you really soar. Obviously the "Kitty Bey" was a huge track. This was actually quite a late discovery, as it was played in the clubs during the latter half of the 1980s. It truly is one of the greatest dance tracks ever played in a Jazz Room, and is a real challenge for any dancer to "take out" (dance through from the beginning to end). I would have loved to have been in the studio when you recorded this one. If I had to name my favourite Unity track, it would have to be "Ether", for its sheer depth, beauty, and mysticism. The name Unity is truly fitting for the band, as one really feels a strong sense of unity within the musicianship of the group as a whole. Also, the reason why Unity resonated with me so much is because you really have tapped into 'The Source', and you express this so wonderfully through your music with such authenticity. Seymour Nurse: Did you ever look upon your music as something that would have been danced to, and did people dance to it at your Unity gigs? Also, did you ever go to clubs or parties in the 1960s/70s where people were dancing to Jazz? 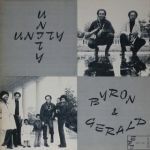 Byron Morris: Yes, I knew that some of the songs in Unity's Repertoire were quite danceable, e.g., "Kitty Bey," "Sunshower," "Panamanian Aire," "Lay it on the Line," and "Ball's Groove" just to name the obvious songs that could be used for dancing. There were only a few Unity performances where I saw people dancing. 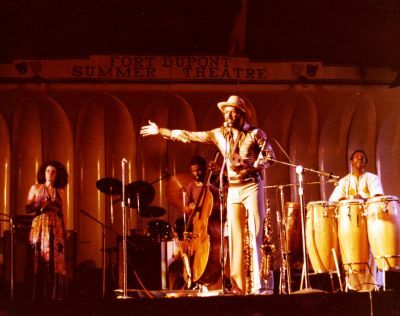 There are two that stand-out in my mind; the 1975 & 1980 outdoor concerts at Fort DuPont Park, Washington, DC (USA); where the folks down near the stage danced to; "Ball's Groove," "Panamanian Aire" and on the Latin movement to "Like a Galaxy of Stars," also on "Sunshower." I don't remember folks at parties or in clubs dancing that much to Jazz. Remember, the standard for dancing during the 1970's & 80's was set by; James Brown (Hit 'Me!! ), Earth, Wind & Fire , Kool and the Gang, etc., etc., etc. S.N: I felt that people must have been dancing to your music back then simply because of the environment Unity was playing in, and the kind of crowd that you were playing to. It makes perfect sense that people responded in that way to the Latin movements on "Like a Galaxy of Stars," and "Sunshower". Can you remember what kind of dancing people were doing to your music at the live gigs in 1975 and 1980? S.N: Spontaneous dancing with 'Latin' based steps to the uptempo Latin Movements in your music... That sounds similar to the way we were interpreting your music here in the UK. As it is said, "It's in the Spirit and DNA..." Did Unity ever get to tour abroad during the 1970s? S.N: Do you have any future projects in mind for Unity? Brother Seymour, tell us more about what you are doing at this point? First, you're very welcome for the opportunity to share the history of Unity on this website, for it is an honour to have you here. It is so good to hear that you are continuing the spiritual journey of Unity with the same integrity. Jay Clayton is one of my favourite singers, and her voice truly is a very important part of Unity's creation, so I am delighted to hear that she will be working with you again. I appreciate that we have had the opportunity to continue our dialogue, and I thank you for that Brother Byron. It is the spiritual aspect of Jazz which has always resonated with me the most, and the cultural experiences that inspired musicians like yourself to create this music in such challenging and liberalizing times, for it is much more than just music, it is life!!! "Legends Of The Underground" , which is a 3D Theatre Dance Production. I am the co-writer of the story with Gary, which tells the origins of how all creation came into being through Music and Dance. I have a ball creating all kinds of incredulous realms, planets and dimensions through my writing. The metaphysical origins of Jazz play a major part in this story, as I feel that it is THE musical portal to these other realms. Incidentally, one of the tracks in the production ("Nia Ginto", which is a huge hit in the Jazz Rooms amongst the dancers) has been said to have a similar drum/percussion break to your "Kitty Bey", so there is definitely a connection with the spirit of your music, and what we are doing now. 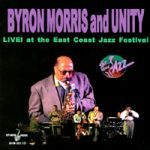 Byron Morris: Brother Seymour, This has been another great experience to answer your questions concerning our new CD; "Unity, A Retrospective", and have this outstanding rapport between you and I.
S.N: Yes, this has been a wonderful exchange between us, for I have really enjoyed it too. I look forward to hearing future projects from you and Unity, and seeing you in the UK. Good manifestations to you Brother Byron.